Against the Grain Theatre combines aerial artistry, burlesque dancers, and a virtual choir of 100 voices for Orphée⁺. This spring, the COC’s Company-in-Residence, Against the Grain Theatre, presents Orphée⁺, an electronic, baroque burlesque descent into hell. With aerial artistry, burlesque dancers and a virtual choir of 100 singers from around the world, AtG is reimagining the Gluck/Berlioz masterpiece, Orphée et Eurydice, for the 21st century. AtG Founder and Artistic Director Joel Ivany, who directs Orphée⁺, sparked an email conversation with New York-based classical soprano, aerialist and burlesque performer Marcy Richardson (aka @operagaga, of Company XIV), who will sing the role of Amour airborne. Canadian opera talent took centre stage this weekend as three of the country’s most promising young artists claimed top prizes at the George London Foundation Awards Competition in New York City. 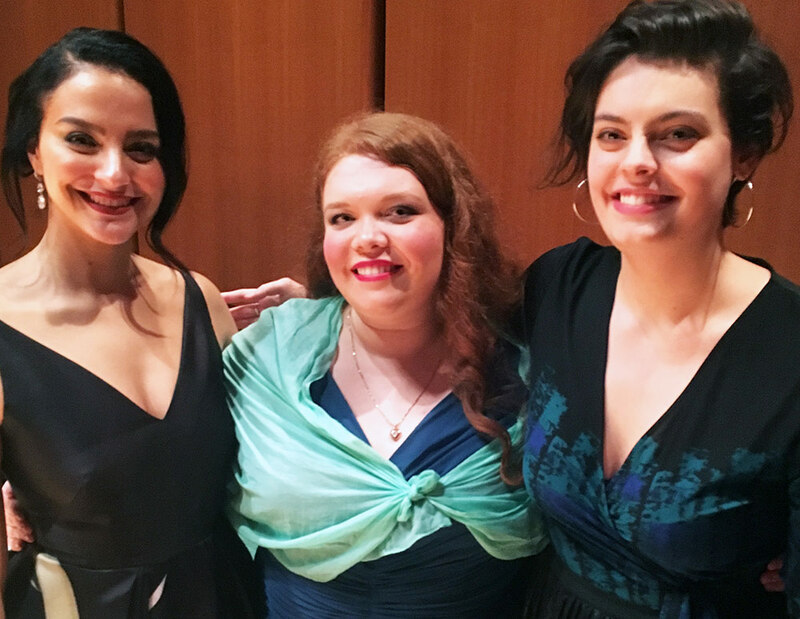 Soprano Lauren Margison and mezzo-sopranos Rihab Chaieb and Emily D’Angelo each took home $10,000 USD alongside three other American winners.